I like to stay active year round but when the warm weather arrives I tend to spend as much time outdoors as I can. 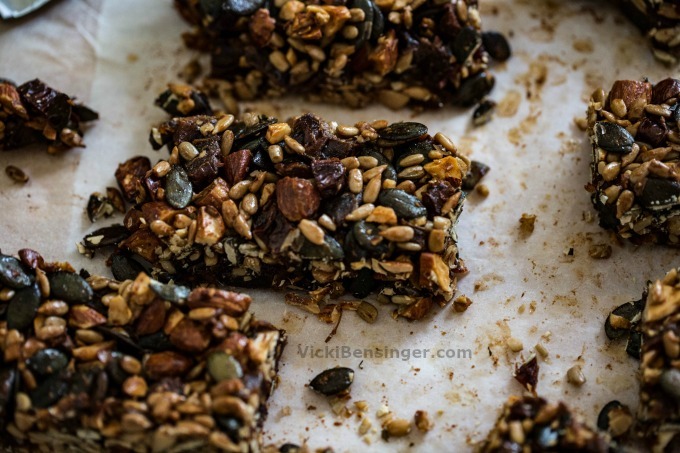 Being active all day requires lots of energy, so before you start losing momentum grab one of these quick & easy Seed & Date Power Bars. They’re sure to give you a burst of energy! Summertime gets most people outdoors enjoying the sunshine and what nature has to offer. From: hiking, biking, running, boating, swimming, kayaking, paddle board yoga, fishing – the list is endless. As I’ve gotten older I’ve become more in tune to my body and the foods I eat. There’s a definite change in my moods, energy, and mental ability based upon the foods I ingest. When I eat plant based foods – vegetables & fruit, I feel incredibly energetic and alert. I feel even more alive when those are eaten raw vs. cooked. 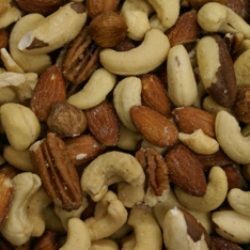 The same holds true with nuts that are high in protein. In fact, I can go from morning until night non-stop if I eat right. My mood is great, my energy high, and I’ve even noticed I laugh and smile more. However, when I eat chocolate, bread, beef, pastas, etc. I tend to feel more sluggish, not as energized or happy, and look forward to lying my head on my pillow at night. Eating fish also keeps me feeling good, so long as it’s not laden in heavy sauces, but instead fresh fruit salsas to enhance the flavor. 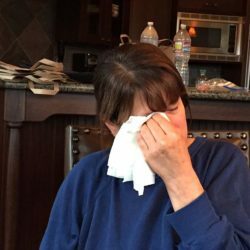 Oddly enough, even though I’m well aware of the foods I eat, and how they make me feel, occasionally I’ll still fall into the rut. I’ll crave chocolate, candy, beef, bread, etc. only to feel like I’m going to konk out wherever I am, and on the spot. Not a great feeling. Thinking ahead and preparing various healthy recipes to keep on hand at home or simply cutting up fresh fruit as I bring it home from the grocery store helps. If you feel too lazy to slice it, then purchase pre-cut fruit and veggies to give you that jump start. 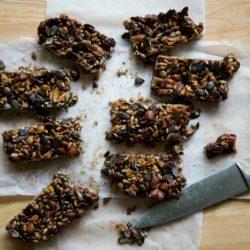 This morning I woke up, and by 9:00 am I had already prepared and cut these Seed & Date Power Bars so I’d have them on hand for the rest of this week. Wrapping each individually to put in my purse, backpack or even store in my car when the hunger pains strike, is a good idea. Then you won’t find yourself running in someplace to grab a candy bar, or some stuffed crackers that will drag you down. 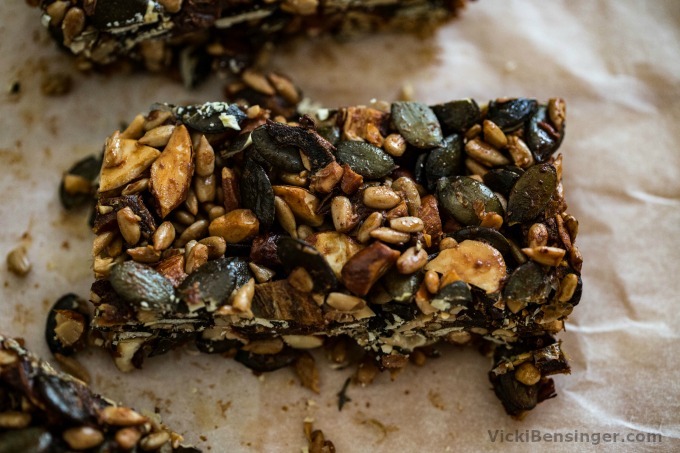 These Seed & Date Power Bars are so quick to prepare. The hardest part of all, which isn’t really hard, is slicing the dates to remove the seeds – super quick & easy! 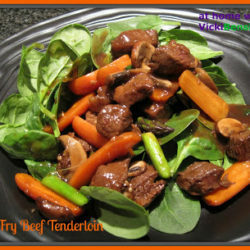 The rest is simple, then just place in the oven until the ingredients glue themselves together, and enjoy. I hope you’ll try making these. They’re also ideal for road trips, hiking, to pack in your lunch box or the kids, etc. If you make these I’d love to hear what you think, and also what activity inspired you to make them. 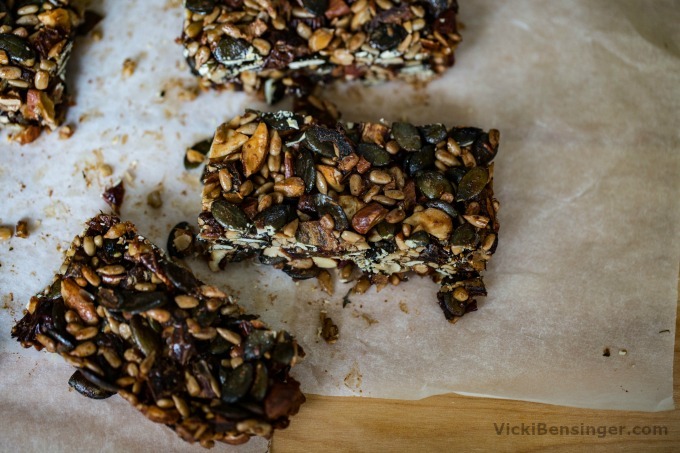 These Seed & Date Power Bars are packed with nutrition, high in protein, and will provide you enough energy to sustain you through the day. Since they're so quick and easy to prepare there's no reason to buy boxes of power bars anymore! Preheat oven to 325 F degrees (160 C). Line a square cake pan with parchment paper and set aside. Place the date, almond, sunflower seeds, pepitas, honey, cinnamon and vanilla in a bowl, and mix well to combine. Press the mixture firmly into the prepared tin and bake for 45 minutes or until toasty brown. 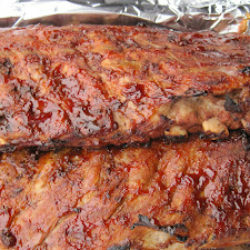 Allow to cool in the pan before slicing into bars to serve. 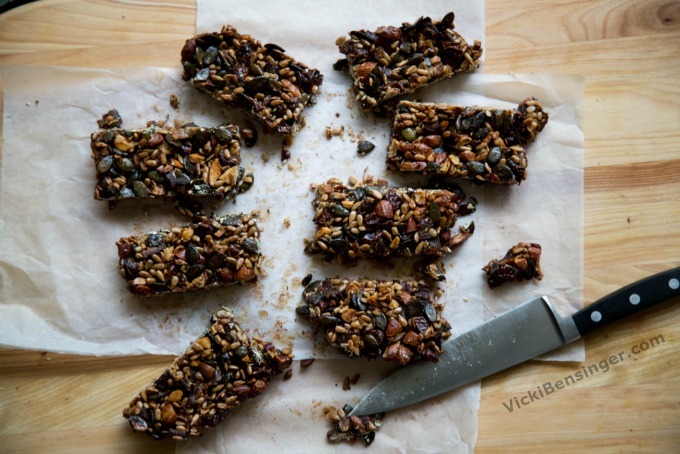 Seedy nutty and chewy..I love these power bars! Wait until you try them. They’re addicting! Dates are wonderful, aren’t they? These look awesome — flavorful, and so full of power. Thanks! I’m like you Vicki, if I eat right, I feel so much better. 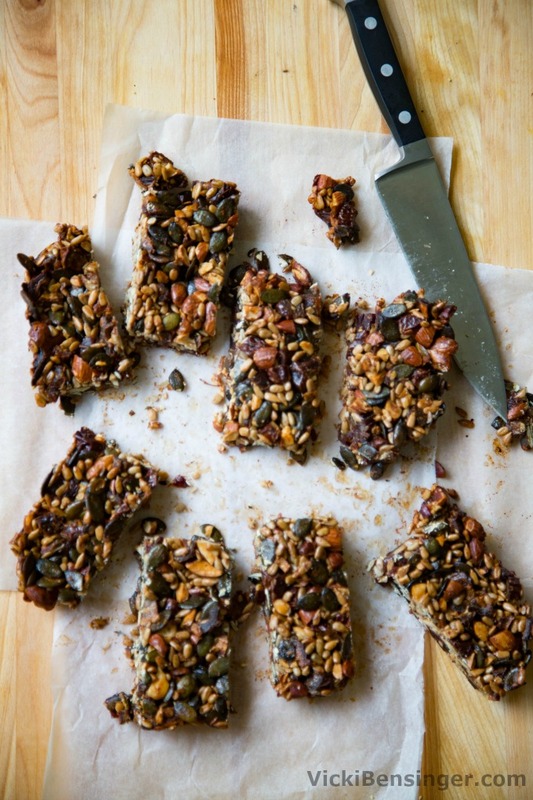 These bars look like a wonderful way to eat right and stay out of trouble! They’re so tasty I think you’d like them. These look like the perfect snack! All those seeds would make me very happy! I try to avoid simple carbs like breads and pastas—I feel so much better that way, too. Same here. The older I get those foods just don’t agree with me.